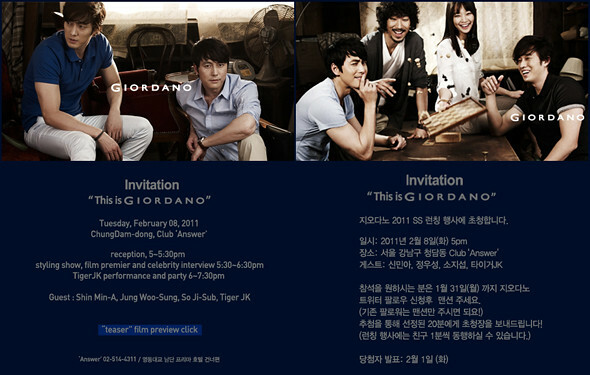 Jung Woo Sung (정우성), Shin Min Ah (신민아), So Ji Sub (소지섭) and Tiger JK who are the newly appointed models for Giordano's latest advertising campaign, "Friends' LOVE: The Story of Friends' Love" attended Giordano Spring/Summer 2011 Launch Party on February 8, 2011. 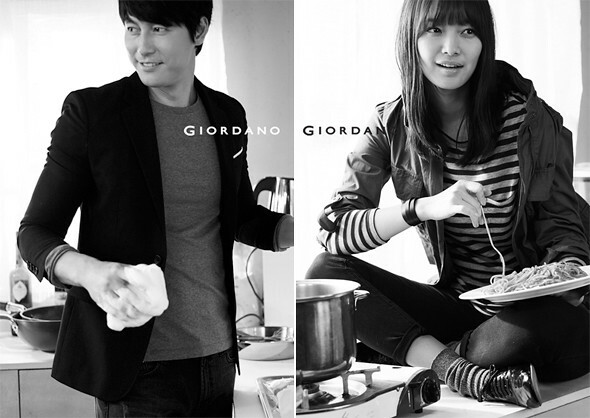 Jung Woo Sung (정우성) looked like he came from Athena: Goddess of War filming, wearing his "NTS" outfit. Shin Min Ah (신민아) wore an oversized sweater which I thought was really cute. A high ponytail, polka dots tights and wedges to complete the look. Not a huge fan of the tights, I would opt for vertical stripe tights instead. 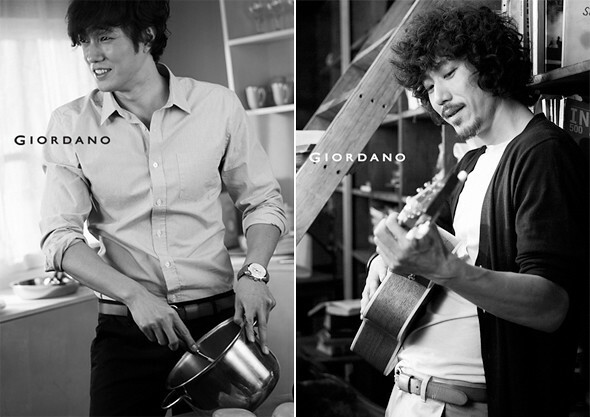 So Ji Sub (소지섭) was dressed in a monochrome outfit. I am disturbed by the way his T-Shirt is styled. Either you tuck in or tuck out. Tiger JK attended the event with his wife, Tasha. I love the use of denim and leather jacket as well as colors which we almost did not exist that night.